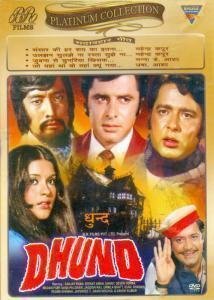 Dhund is the of a young woman (Zeenat Aman), whose invalid husband (Danny Denzongpa) is murdered. The finger of suspicion points at the young widow and her former boyfriend (Sanjay Khan), but the killer is someone else. it is a taut thriller with a fantastic performance by Denzongpa. Two of the songs, “Sabsar ki har sheh ka” and “Uljhan suljhe na” were hits. Chandrashekhar’s car breaks down in the middle of the night amidst a thick fog in the country-side. Taking his flashlight, he approaches a nearby house, and knocks on the door. Upon getting no answer, he finds that the door is open. Once inside, he observes a male seated in a chair and asks his permission to use the telephone. When he gets no response, he gently nudges this male, and the body falls down. Chandrashekhar goes over to the telephone to phone the police, and it is then that he sees a young, beautiful woman with a gun in her hand. He is attracted to this woman, though he knows that she killed this male. The woman identifies herself as rani, the wife of dead man, and admits to killing him due to his abuse and atrocities. Chandrashekhar feels protective towards this widow, and together they concoct a tale to fool the police, and create a description of a ficticious robbery suspect. AUDIO:2.0 DOLBY DIGITAL,AUTO PLAY 5.1 GENRE:MYSTERY/THRILLER.. This DVD will help your kids to build reading foundations. Dedicated to the principle that children learn best when they are actively involved. 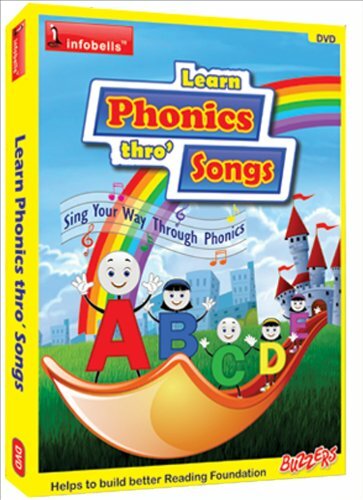 This program is framed to teach phonics through rhythm and song. Bringing an element of play into learning is what we’re all about. 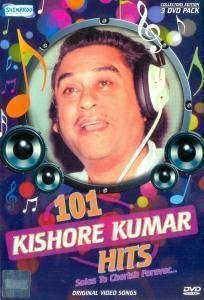 101 Kishore Kumar Hits in a premium 3 DVD pack. The pack compile together 101 solo songs of Kishoreda that go from romantic to peppy, to sad, to funny and many more moods capturing all varied emotions. Evergreen Romantic Hits like: Pal Pal Dil Ke Paas , Ek Ajnabee Haseena Se, Masti Bhare Geet: Dil Ko Dekho Chehra Na Dekho, Jahan Teri Ye Nazar Hai, Sentimental Hits: Aadmi Jo Kehta Hai, Zindagi Ke Safar. Fulltoo. 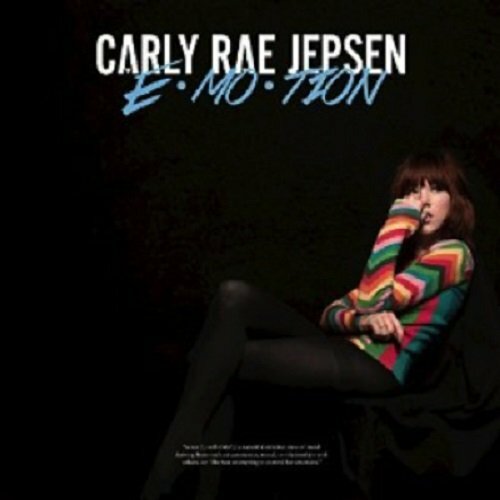 Emotion is the follow-up to Jepsen’s U.S. debut album Kiss, which featured her blockbuster break-out hit “Call Me Maybe.” “Call Me Maybe” climbed to No. 1 on the iTunes Singles charts in over 47 countries and has sold over 17 million singles worldwide to date. It earned Jepsen 2012 Grammy nominations for Best Pop Solo Performance and Song of the Year. Kiss also spawned the follow-up hit “Good Time,” a duet with Owl City, which has been certified double-platinum. Jepsen spent much of 2014 starring in the Broadway production of Rodgers and Hammerstein’s Cinderella, earning rave reviews Emotion was recorded and produced in Los Angeles, New York and Stockholm. Jepsen co-wrote the album with several A-list producers and co-writers, including Sia, Greg Kurstin (Kelly Clarkson “Stronger”), Peter Svensson (Cardigans and Ariana Grande “Love Me Harder”), Ariel Rechtshaid (Haim, Madonna, Vampire Weekend, Major Lazer), Mattman and Robin (Tove Lo, Taylor Swift), Carl and Rami (Ariana Grande “One Last Time”), Rostam Batmanglij (Vampire Weekend), Devonté Hynes (Blood Orange), Shellback (Maroon 5, Taylor Swift) and more. The first single released from Emotion, “I Really Like You,” became a global Top 40 hit and earned a host of positive reviews from such outlets as Spin, People, Time, Nylon, Paper, BuzzFeed and more. The video for “I Really Like You,” which co-stars Tom Hanks, has racked up more than 78 million Vevo views. Superhits of 1970’s – Vol. 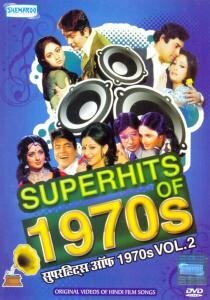 2 is the second in the Superhits of 1970’s series, which is a series of best Bollywood songs from the 1970s. Being a compilation of the best, means that this album will feature various singers. Since this album is in DVD-Video format, you can see the music videos as they were in the movies from which the songs were taken from. 1970s Bollywood was a unique time and place and had its own culture and vibe, this is what can be seen through these many music videos. The songs in Bollywood movies back in the 70s were dreamy and romantic and had some classical lyrics and tunes. The songs in this compilation range in moods, typical to the movies in the 70s, where movies were made to go through the entire spectrum of emotions. 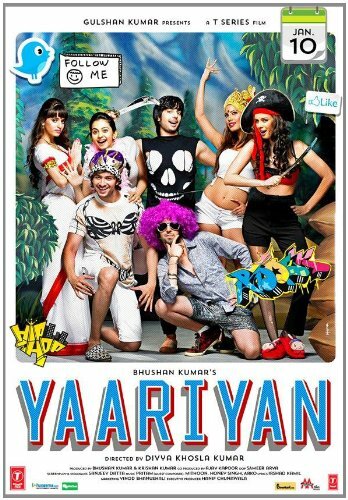 Some of the songs here were sung by Kishore Kumar, who was one of the most prominent male playback singers of the 70s. 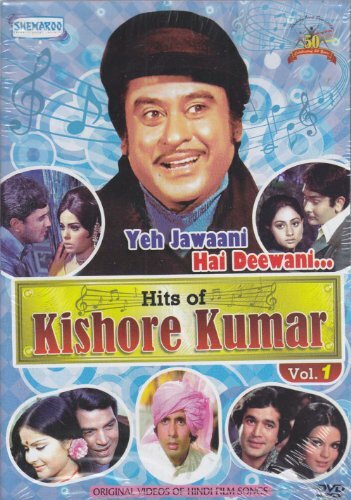 Ek Ajnabee Haseena Se, Zindagi Ka Safar Hai Yeh Kaisa Safar and Aap Yahan Aaye Kisliye Aap Ne Bulaya are some of Kishore Kumar songs featured in this album. Superhits of 1970’s – Vol. 2 contains 35 tracks, all hits of their time, from different movies. This album was published by Shemaroo. Winner of 8 Filmfare Awards for Best Male Playback Singer, Kishore kumar is one of the most decorated singers in Bollywood history. He won the Lata Mangeshkar Award for his uncanny singing and contribution to the Hindi film industry. Lata Mangeshkar also sang a few songs in this collection, like Karvatein Badalte Rahe Saari Raat Hum and Kitna Pyara Wada Hai In Matwali Aankhon Ka. She is another highly decorated playback singer, with seven decades of contribution to the Hindi film industry. Lata Mangeshkar’s younger sister Asha Bhosle also sings a number of songs in this compilation, like Dhal Gaya Din Ho Gayi Sham and Saare Sheher Mein Aapsa Koi Nahin. Asha bhosle is a very popular name in the Hindi film industry, with having sung for over a thousand Bollywood movies, over a span of six decades.